See also the History Council of NSW website. 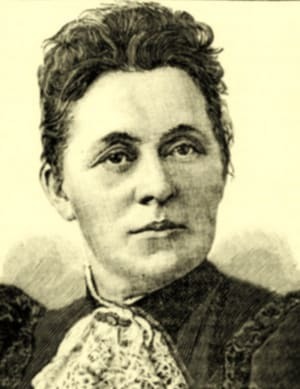 Louisa Ardill, who established the Home Training and Lying in Hospital in 1895. Step back through time and explore the lives of the women who shaped nursing and midwifery in Australia when the University of Sydney's Nursing History Research Unit opens its doors for History Week, 6 to 11 September. The Nursing History Research Unit, part of the Sydney Nursing School, will host tours of their Camperdown facilities on Tuesday and Friday this week between 10am and 3pm. Director of the Unit, Emeritus Professor Lynette Russell and colleagues Professor Noeline Kyle and Dr Jenni Blundell have put together Women Who Shaped Nursing, a fascinating display featuring significant and compelling biographies of our nurses, midwives and health professionals. These committed individuals shaped the professions of nursing and midwifery in Australia's hospitals, industrial schools, orphanages, refuges and asylums. For instance, pioneering midwife Louisa Ardill, who established the Home Training and Lying in Hospital in 1895, renamed South Sydney Women's Hospital in the 1910s. Or Olive Anstey, who was the first matron appointed at the Perth Chest Hospital and was awarded a Commander of the Order of the British Empire (CBE) for her service to nursing in 1982. The exhibition begins with convict women and the work of indigenous nurses and midwives such as Louisa Briggs, a nurse and midwife of Woiworung descent who was appointed matron of Coranderrk Aboriginal Station in 1876, the first indigenous person to take on the role. There are the faces and stories of country matrons, country midwives, bush nurses and the women who nursed and made a major contribution to the health care of men and women in all the major Australian wars. Women Who Shaped Nursing tells the stories and uncovers the largely hidden faces of women who cared for mothers and babies and still do, the nurse leaders and professionals who established nurse education and training, nurses who played an active role in nursing organisations both nationally and internationally, and the nurses who fought for better work conditions, pay and health care. There are also the faces of the women who took nursing into the university sector and who trained and became the first nurse academics at the University of Sydney.